Loved this little cabin tucked in the hills of Gatlinburg. Our family enjoyed the variety of games and the kids especially loved the heart shaped tub. Very cozy for a family of 4 with young children- bedroom is separate from the kids sleeping 'nook'. Kitchen was well equipped and having washer/dryer was perfect after a big day of hiking. Cabin was very clean, well taken care of and in a great location- only about 5 minutes from the main road that runs through Gatlinburg. The cabin was great! I’m giving it a 5 star review, but I want to point out just a few little things that could effect the rating for other vacationers. The master bed is loud. Squeaky creaky loud. We had our kids with us (they stayed on the bunks), so we had to be careful “moving around” on the bed. There wasn’t any extra trash bags in the cabin and we didn’t know until after we had come back from the store. It wasn’t a big deal, just an annoyance. The Wi-Fi stopped working after the first nights stay. Again, it wasn’t a huge deal because we were busy away from the cabin all day, so at night we had to use our cell phone data and share a hotspot for the kids. The bears getting into the trash! At first, we were so excited to see a bear, even if it was making a mess in the dumpsters. But by checkout day, it was a nuisance. We needed to dump 2 bags of trash before we checked out, but couldn’t because a bear was IN one dumpster and another was outside of the next one. The trash company really needs to fix the latches on the dumpster so the bears won’t keep making such a mess. Positives: great location, awesome bathtub to soak in, hot tub on the back porch is quiet and amazing, cabin is very cute and plenty for the kids to do. We will be back, and wouldn’t hesitate one second to stay here again! Experience a lively mountain town while staying at iTrip’s Gatlinburg vacation rentals. Gatlinburg offers visitors a serene, relaxing environment with lots of fun-filled, family-friendly attractions. Gatlinburg vacations are perfect for families and couples alike. No matter what type of trip you’re planning, you’ll find a variety of rentals ranging from one bedroom to 10! We guarantee our Gatlinburg rentals will fulfill your vacation dreams and more. Explore the city's beautiful scenery with outdoor activities near your vacation home. Hike 800-plus miles of trails in the Smoky Mountains. Get an up-close view of many beautiful waterfalls in Gatlinburg, including Grotto Falls, Laurel Falls and Abrams Falls. While hiking, look for bears, elk, deer, rare bird species, and a collection of wildflowers and trees. The Great Smoky Mountains National Park – the most visited park in the U.S. – is located only a short distance from our Gatlinburg cabins or condos. Become one with nature and enjoy the serenity of the outdoors during your vacation in Gatlinburg. Visit downtown Gatlinburg for fun and free activities. Take a quiet stroll on the river walk, and enjoy rushing waters of the Little Pigeon River, gazebos and benches. Dine at any of the delicious restaurants to sample local cuisine and flavors. Walk along Downtown Parkway and browse shops for souvenirs and trinkets, or pick your special piece at one of the local art galleries. For action-packed adventure, visit the Dollywood theme park, Dollywood’s Splash Country water park or Ripley’s Aquarium for live shows. Learn more about the Titanic and hear the ship's horn at the Titanic Museum. Fuel your need for speed at the Bristol Motor Speedway track while watching fast-paced races. There is endless entertainment for everyone. Our Gatlinburg vacation rentals are only minutes from these great attractions. However, you're also far enough away to relish the peace and quiet of the Smoky Mountains. iTrip's rentals feature beautiful décor and luxurious amenities, complete with breathtaking mountain views. 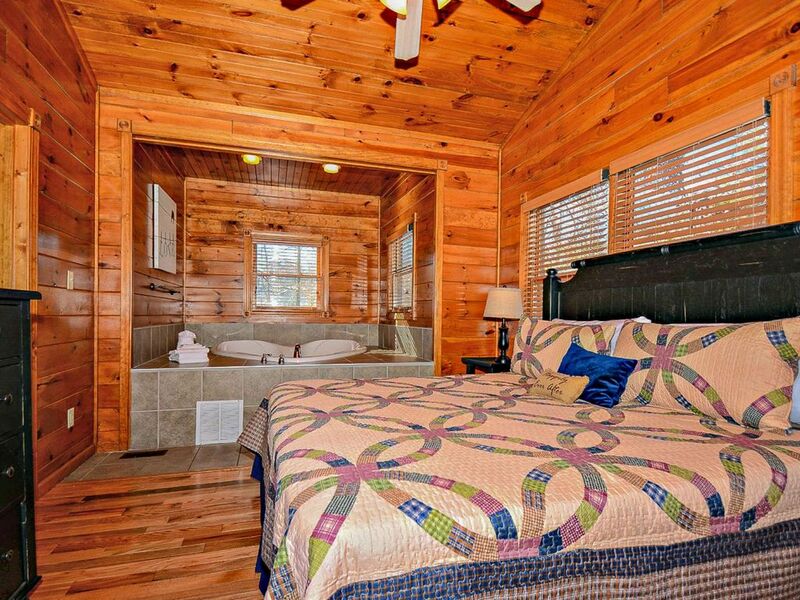 No matter which Gatlinburg cabin or condo you choose, you will find relaxation and fun. Begin planning your dream trip and book with iTrip today! Do you own a vacation home in Gatlinburg? Read how we can help you with our Gatlinburg property management services.